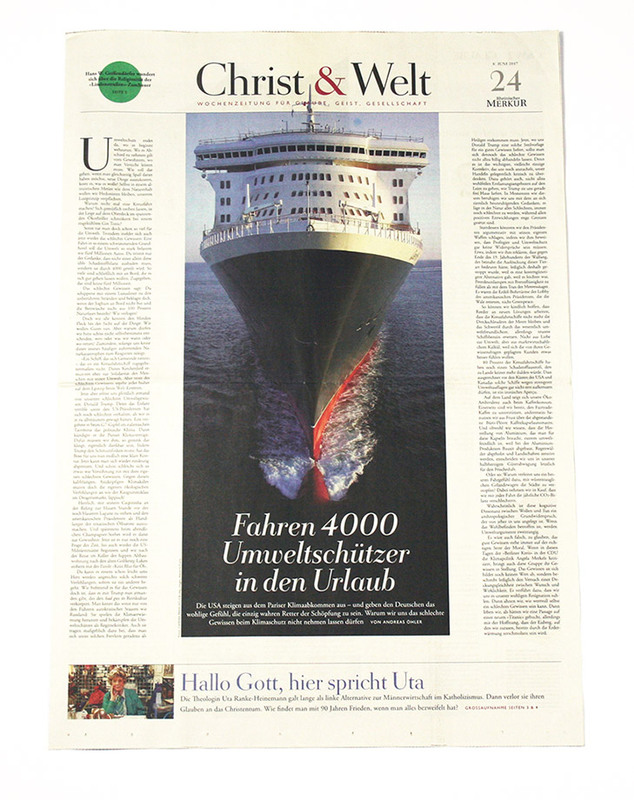 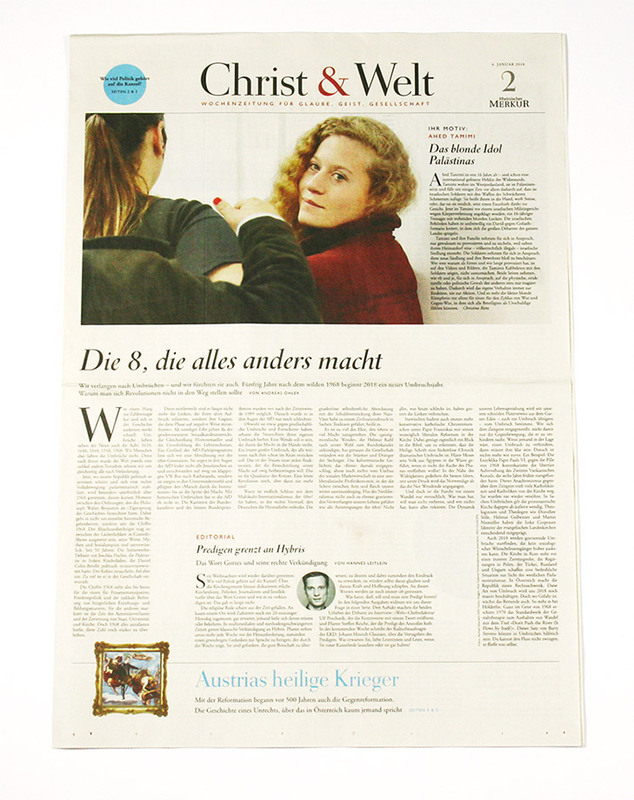 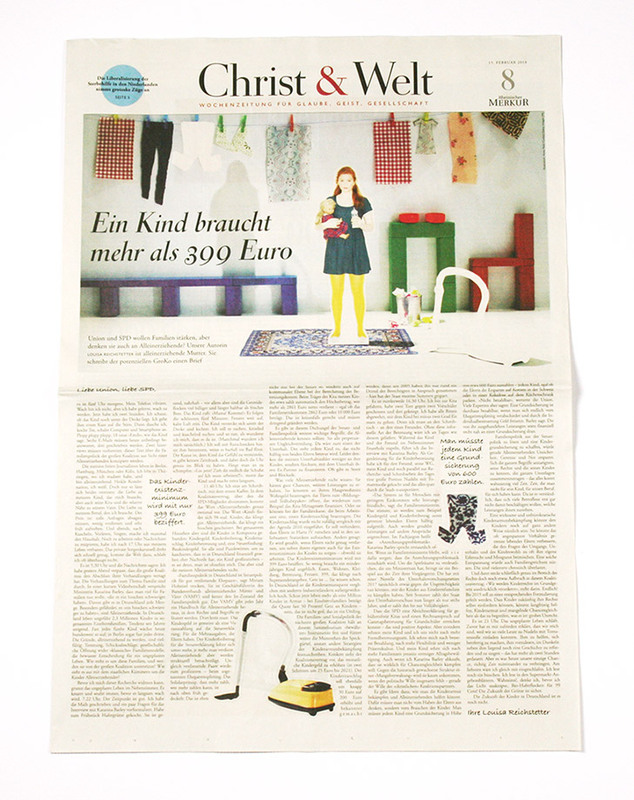 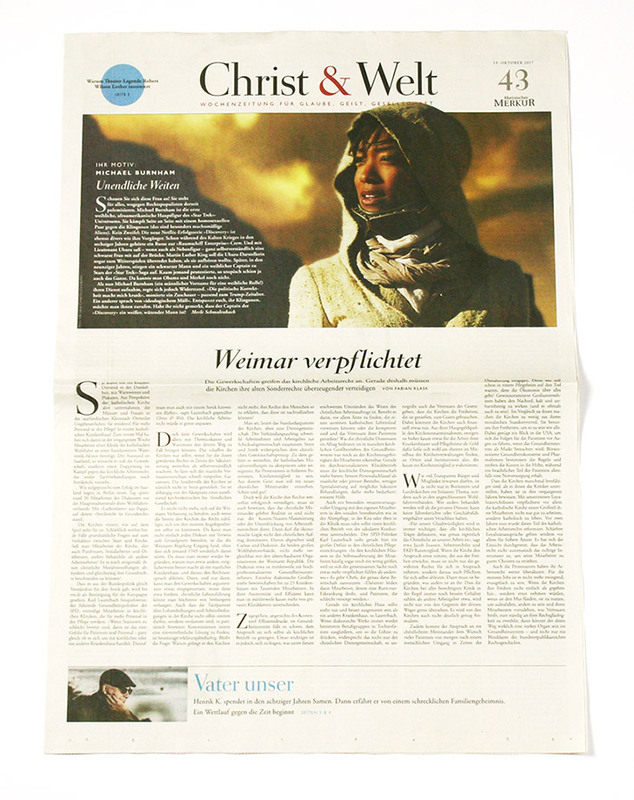 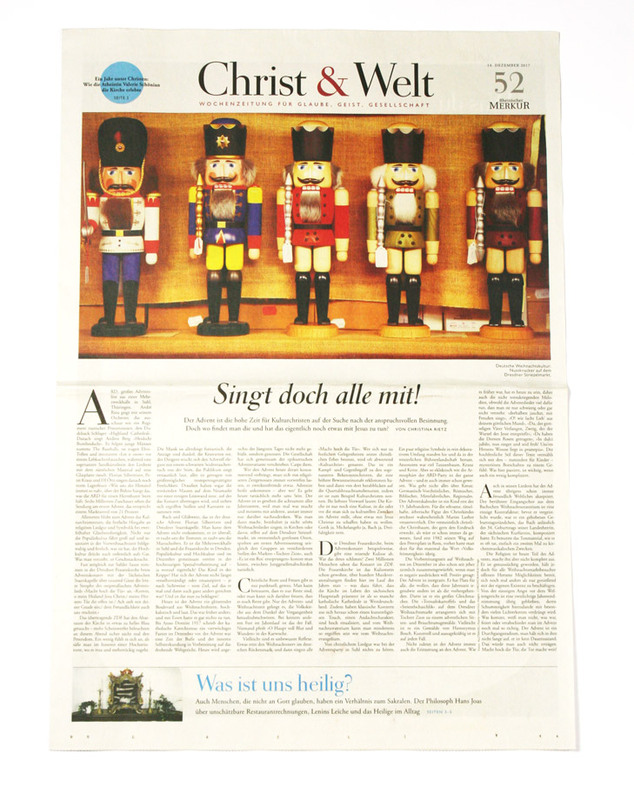 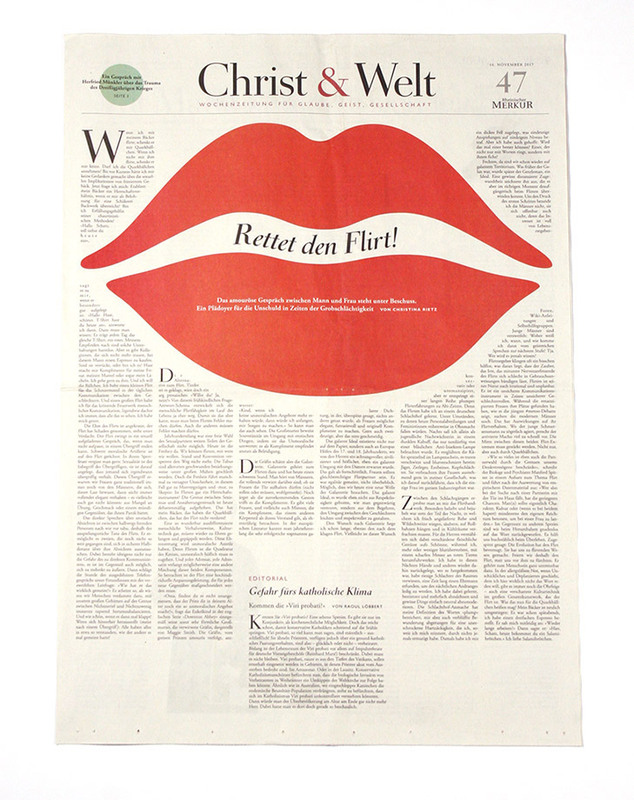 In September 2016 managing director Raoul Löbbert took me as third layout artist on board of Christ & Welt. 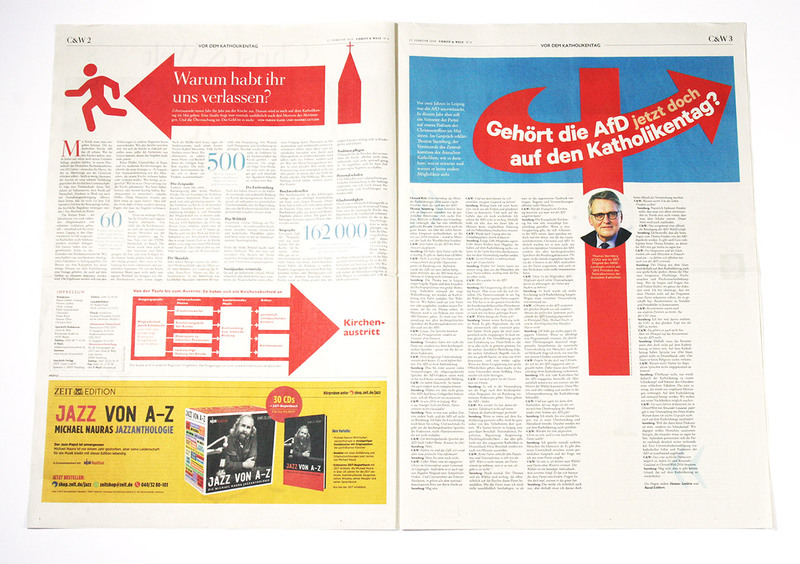 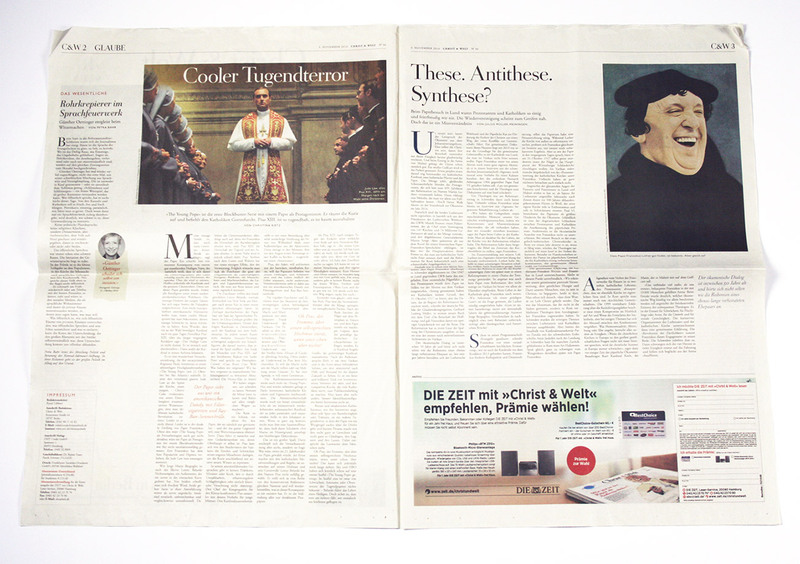 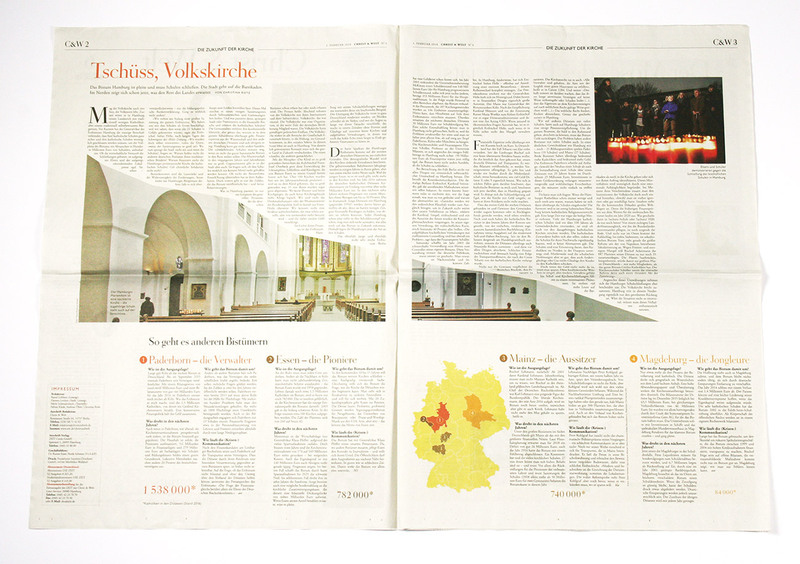 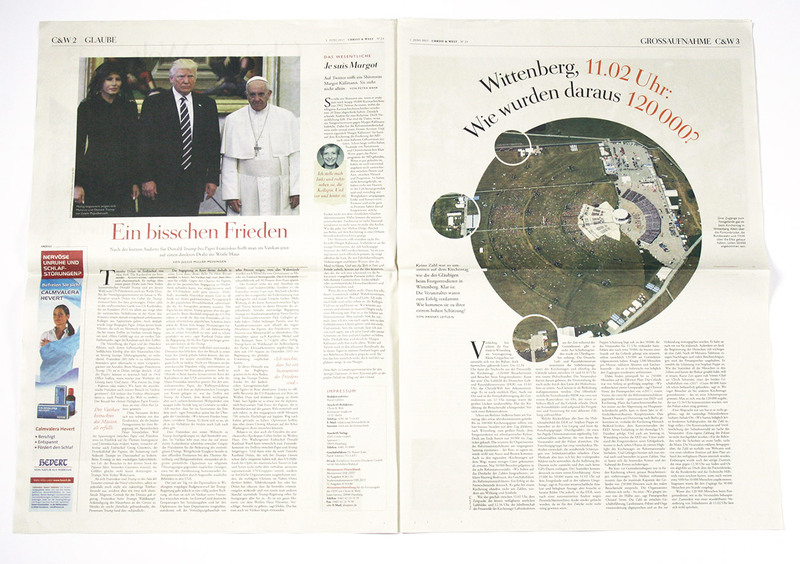 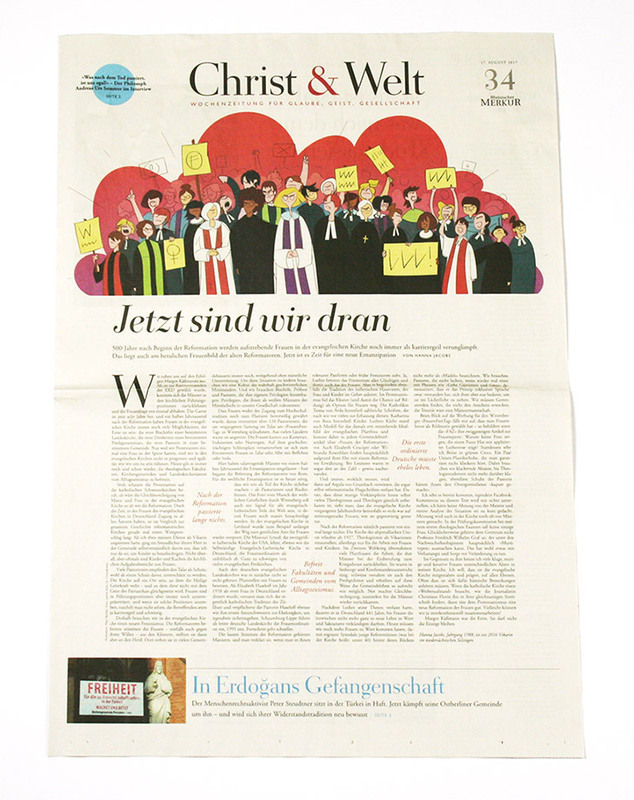 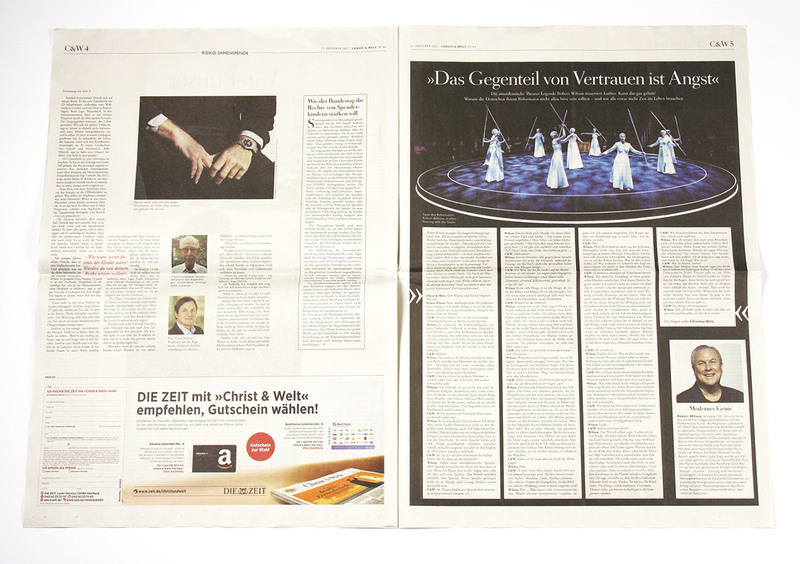 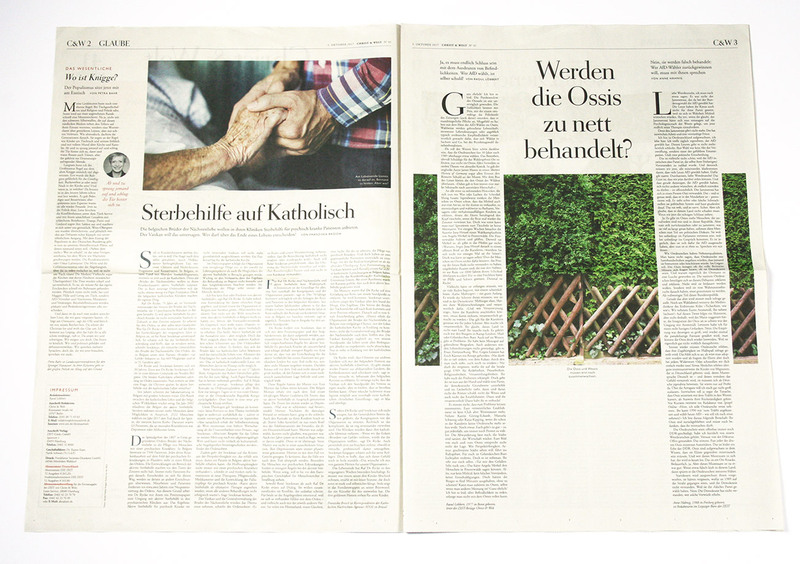 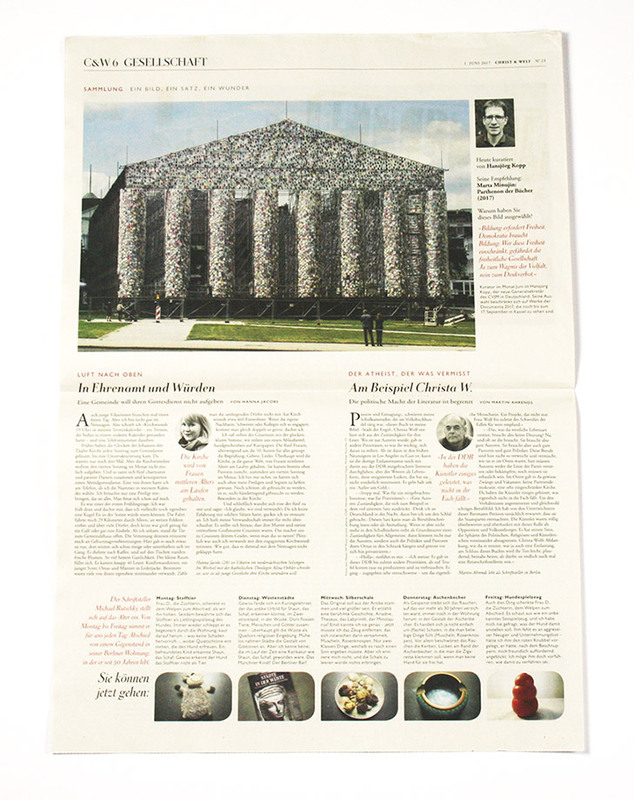 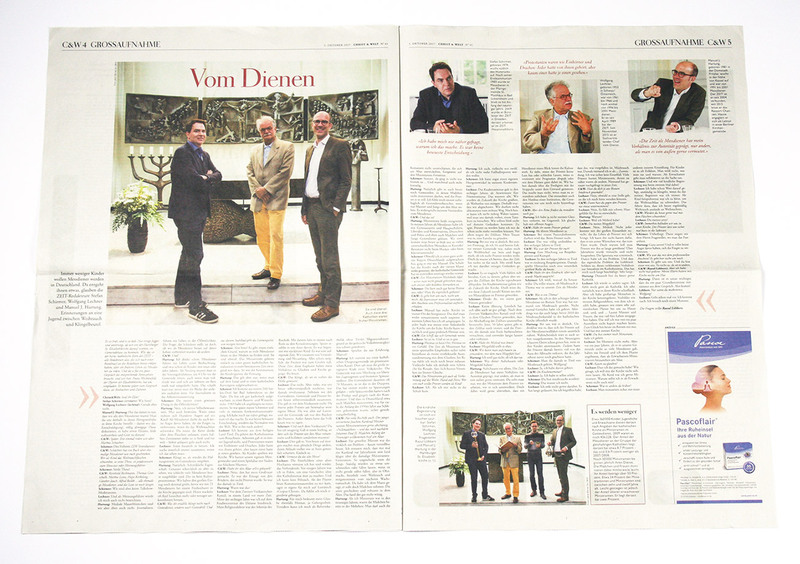 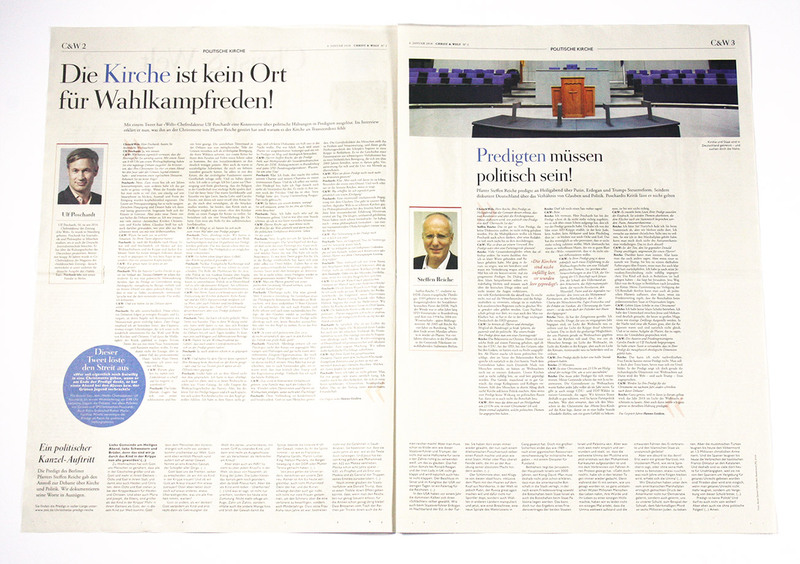 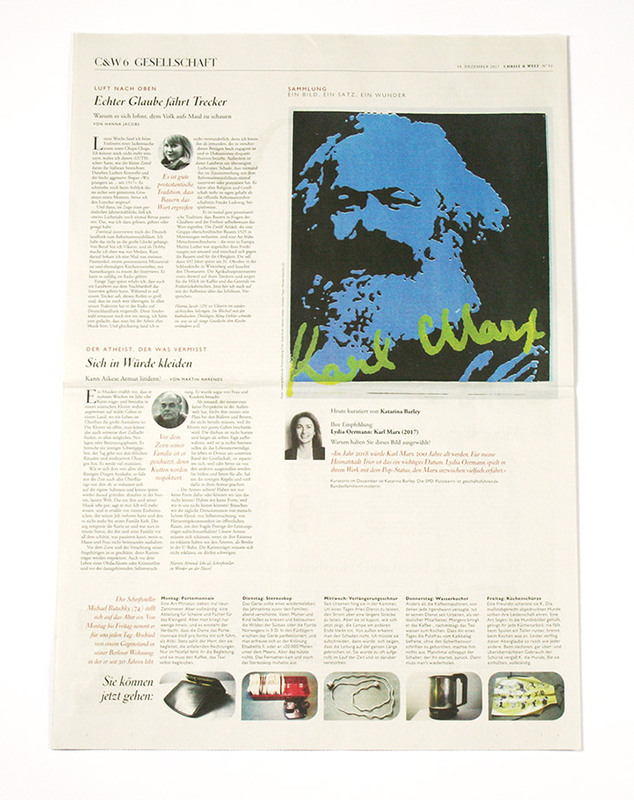 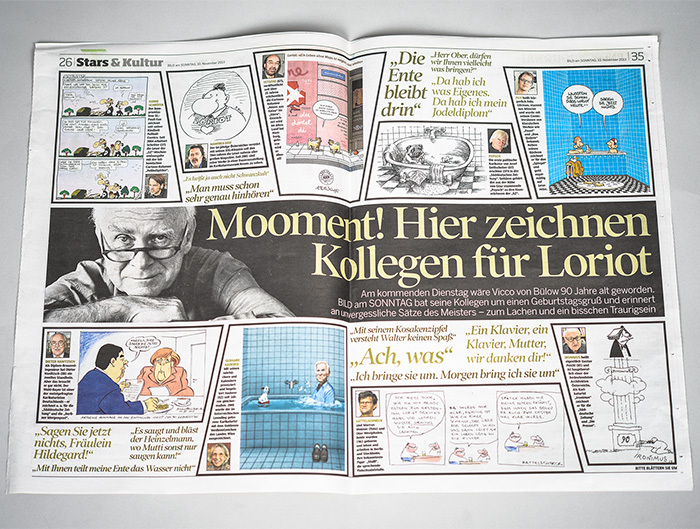 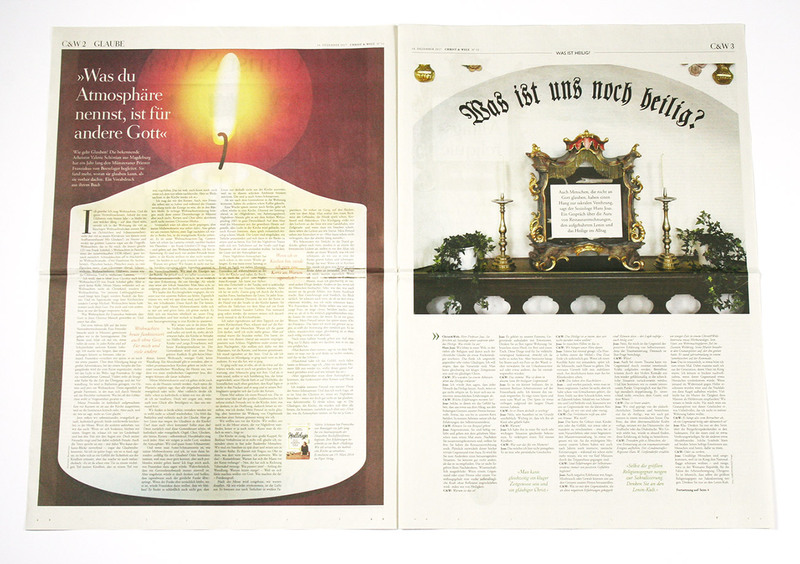 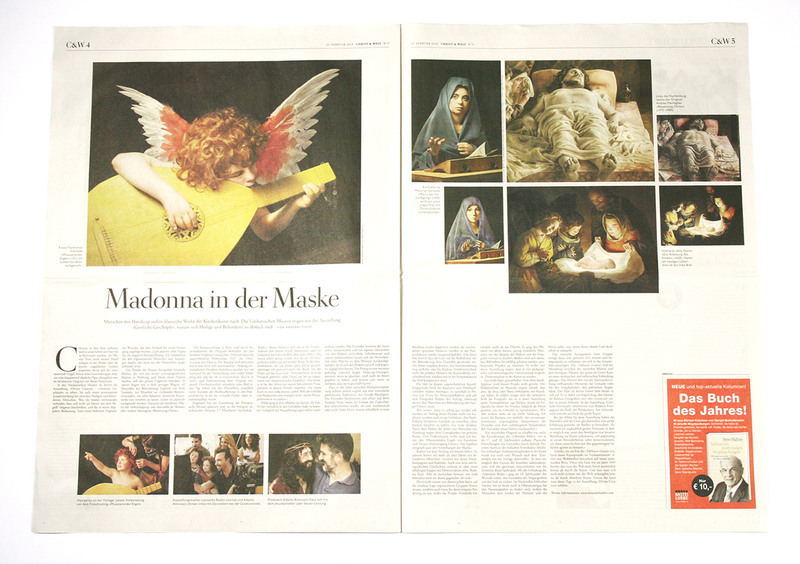 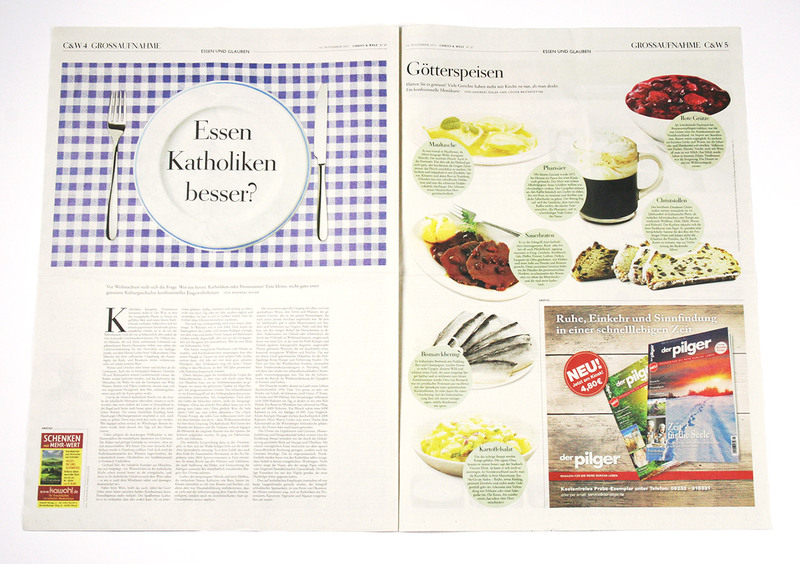 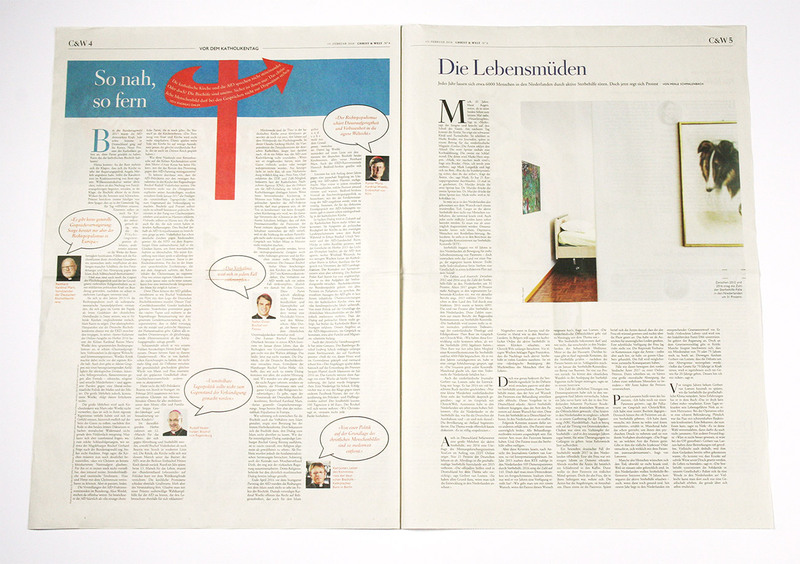 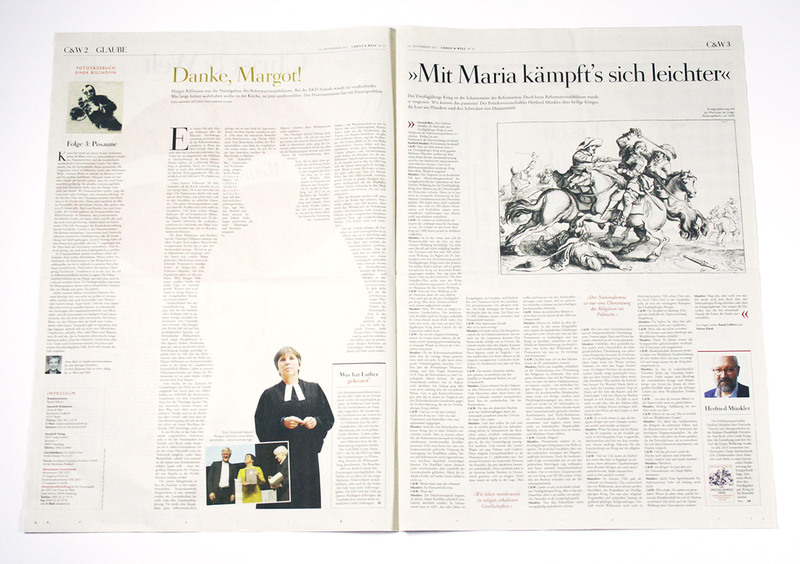 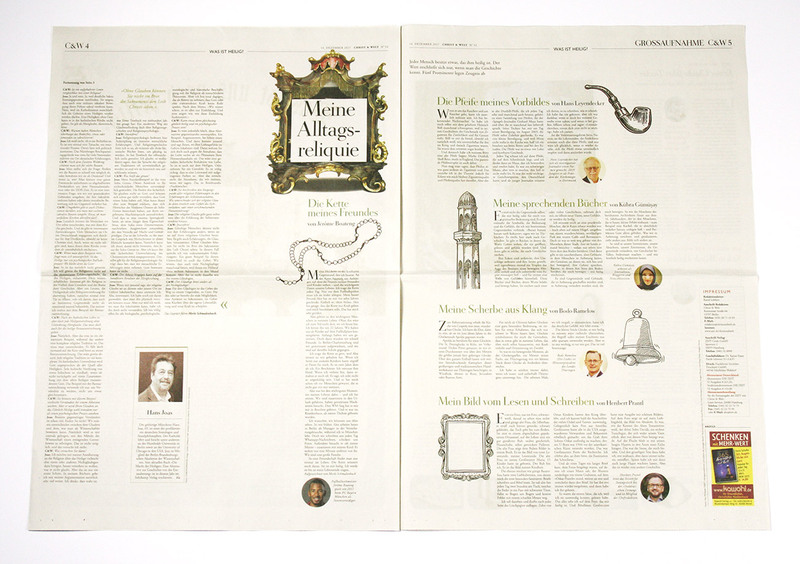 This six pages about belief, mind and society are for specific subscribers, included in the weekly newspaper DIE ZEIT since 2010. 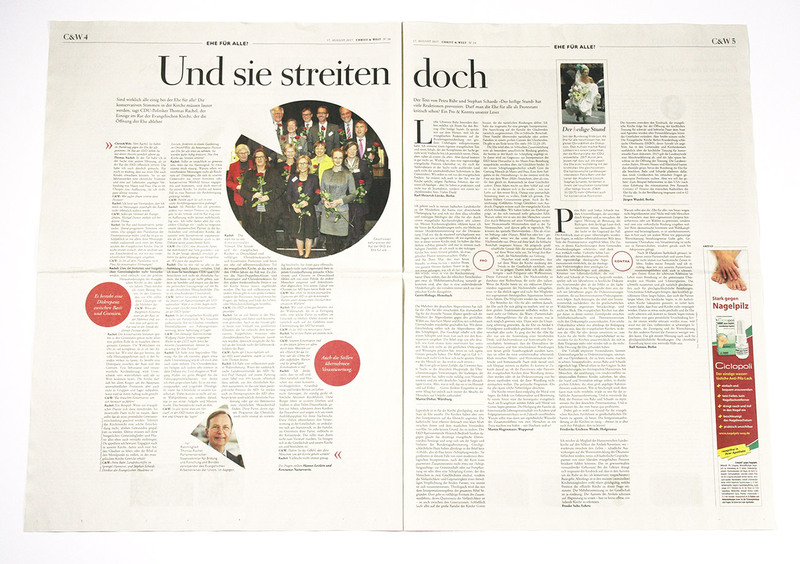 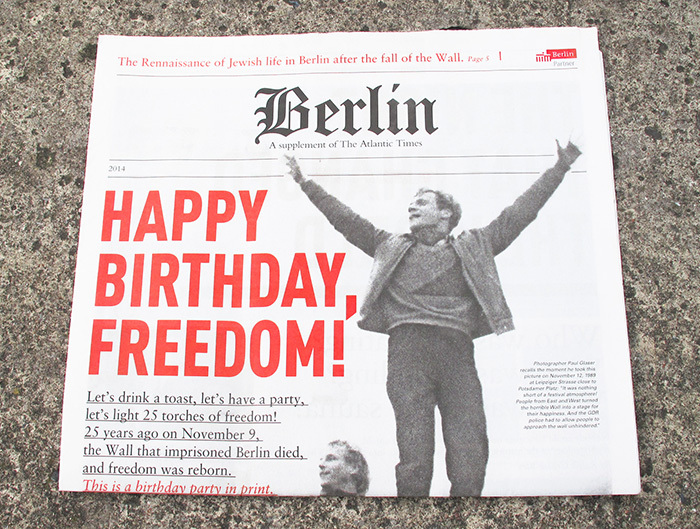 The (nordic) format (400 × 570 mm) and most of the design standards correspond with the main paper, but it’s freer as far as the layout is concerned. 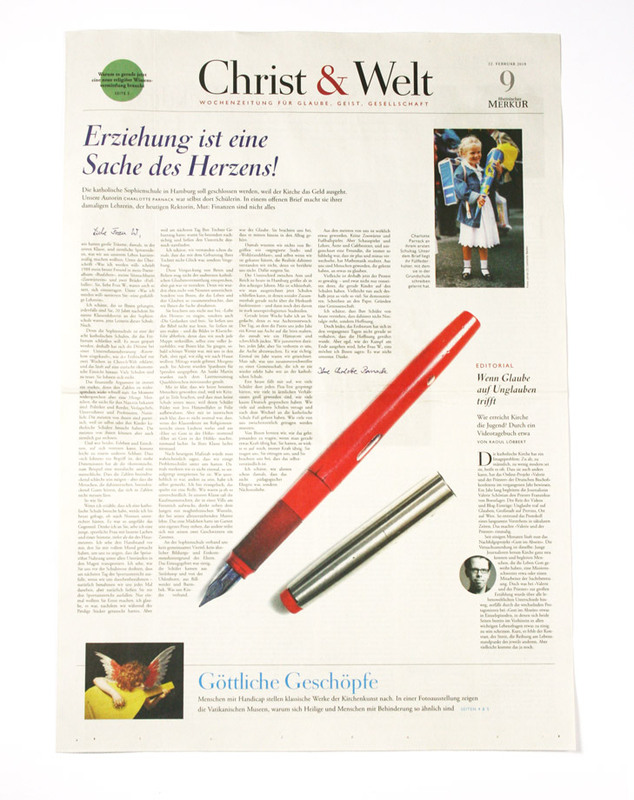 It is produced in Berlin-Charlottenburg, whereby the editor-in-chief Giovanni di Lorenzo, based in the head office Hamburg, grants approval.